Since the outbreak of renewed hostilities in Gaza in July 2014, the situation of people living in this highly populated area has worsened sharply. The conflict is being reported in unprecedented detail in the world’s media, and social media are playing a big role in highlighting the suffering of ordinary people. In Ireland, several NGOs and social justice organisations have spoken out, calling for a cessation of hostilities, for humanitarian support and for full adherence to international human rights and humanitarian law by both Palestinians and Israelis. Trócaire petition to demand justice in Gaza. 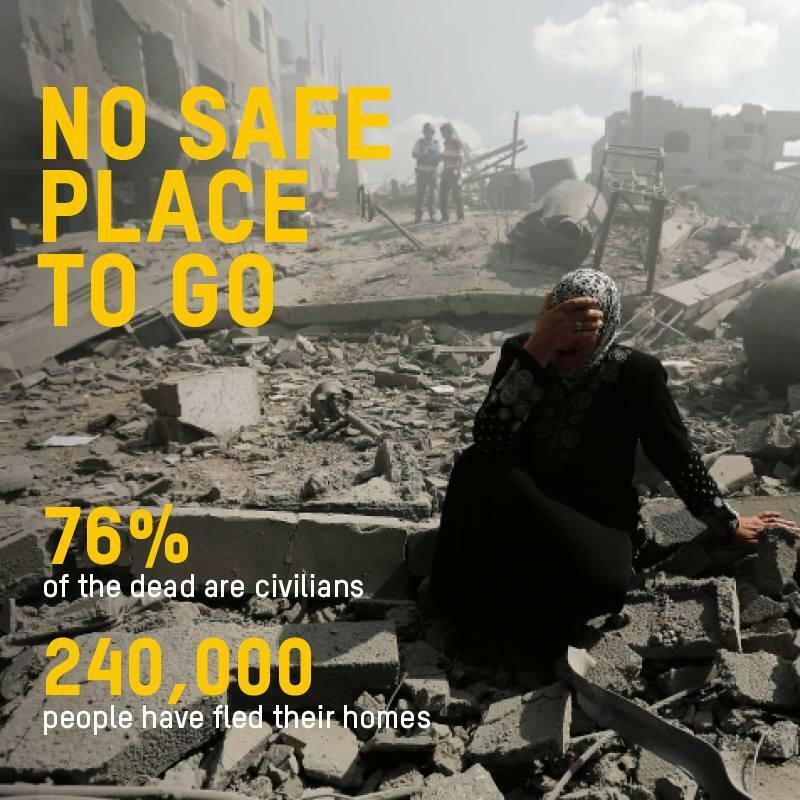 Sadaka petition: Help end Israel’s attacks on Gaza. Avaaz petition: Expel the Israeli Ambassador to Ireland. Avaaz petition (2): Halt trade with the Israel regime. Amnesty International Ireland: Stop arming Israel. Christian Aid Ireland: “With each new day more innocent civilians are being killed as a result of Israel’s offensive in Gaza. Irish Congress of Trade Unions: “The Irish Congress of Trade Unions has today called on the Government to summons the Israeli Ambassador to Ireland and demand that Israel ceases its bombardment of Gaza. Situation in Gaza and Israel: What is Ireland’s position? Entry filed under: NGOs, Uncategorized. Tags: Academics, civil society, Civil Society Organisations, Gaza, Ireland, NGOs, trade unions.